A new single-cell sequencing tool developed by researchers at the University of Texas MD Anderson Cancer Center has improved their understanding of how a common form of early-stage breast cancer advances to a more invasive form of the disease, and why some cancers go undetected. The researchers have developed topographic single cell sequencing (TSCS), with the aim of more accurately measuring and describing specific characteristics of single tumor cells. TSCS represents an advance over previous single cell DNA sequencing methods, which have increased understanding intra-tumor heterogeneity, but delete information about individual tumor cells’ precise location within the tissue. 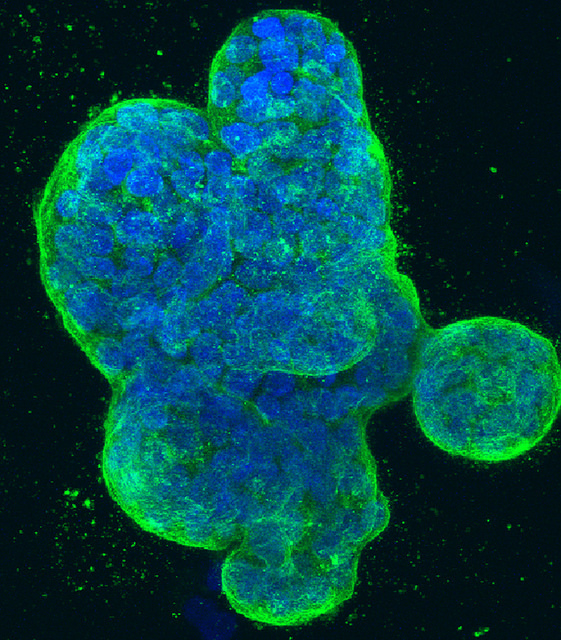 Such precise cellular special data proved key for researchers seeking to learn whether the tumor cells they were studying were either ductal carcinoma in situ (DCIS) or a more progressive invasive ductal carcinoma (IDC). Those challenges, he said, include the heterogeneity of tumor cells, which complicates efforts to treat them, as well as the number of tumor cells in the breast milk ducts, which is scarce enough to be difficult to spot. Dr. Navin and colleagues said their findings supported a multiclonal invasion model in which genome evolution occurs in the ducts before cancer clones can be disseminated by penetrating the basement membrane. Multiple cancer cell clones co-migrate from the ducts into adjacent tissues to form invasive carcinomas. The research team reported its findings in “Multiclonal Invasion in Breast Tumors Identified by Topographic Single Cell Sequencing,” a study published in today’s online issue of the journal Cell. Investigators used exome sequencing and applied TSCS to 1,293 single cells from 10 patients with both DCIS and IDC.